The Fierce Beagle: Illustration Friday returns! This one's for you, Sal. I found the photo I used as inspiration for this drawing on a website called "All About Chicken Predators: All You Need to Know About Protecting Your Chickens." So, Dan should find this useful as well. 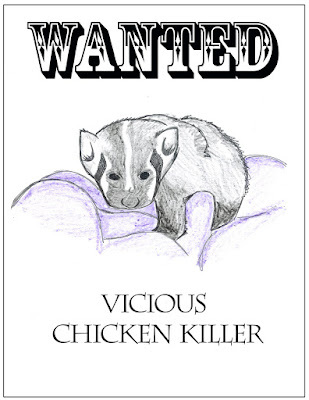 If you have chickens or tend to act like one, by all means, avoid the North American badger however possible.